Is It Time to Retire Old Bathroom Tile? Classic ceramic tile flooring has been a fixture in bathrooms for a century or more. From the 1920s through the 1960s, a variety of shapes, sizes, patterns, and palettes — ranging from simple to sensational — have been used in homes from coast to coast. Tile is classic: It gives bathrooms a unique look, and it's durable. But other bathroom flooring options reared their ugly head: For a brief time, there was a movement toward carpet in the bathroom. Mercifully, that didn’t last. It was in the 1980s when the idea surfaced that an extravagant bathroom doesn't have to be confined to an extravagant home. And it was then that luxurious-looking flooring began appearing in bathrooms in even the most modest of houses, which was not only gratifying to the homeowner on a day-to-day basis, but it also proved to be a wise investment in terms of raising the value of a home. Whether the current flooring in a bathroom needs replacing, the homeowners are just tired of looking at it, or it's time for a whole bathroom renovation, ProSource Wholesale® has a number of elegant flooring options that can take a bathroom to the next level. Design pros can glean all their inspiration from these bathroom flooring options, as well as our numerous showrooms. Hardwood is not a practical option due to the amount of moisture and traffic that occurs in any bathroom. 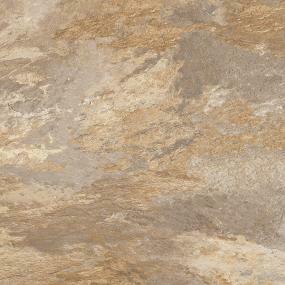 However, as an alternative for the best bathroom flooring besides tile, there's laminate. Laminate offers the beauty of hardwood, but it's not nearly as susceptible to water damage; it's easy to keep clean and is a more cost-efficient investment. And thanks to the qualities inherent in the manufacturing of laminate, this floor covering is actually softer underfoot and more forgiving than hardwood every time someone drops an electric toothbrush. The experts at your local showroom can help navigate the styles of laminate flooring offered. Or, designers and homeowners, you can peruse the options in the online product catalog. So maybe you're thinking, "Laminate is fine, but nothing truly looks like real hardwood." 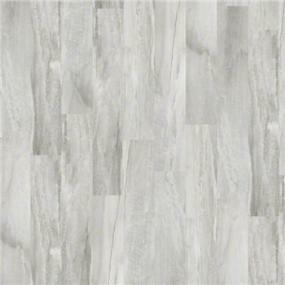 Actually, something does: a product called luxury vinyl tile (LVT), which simulates the look of hardwood or stone. Like laminate, LVT is more forgiving when it comes to dropped items and is softer to the foot than hardwood or traditional tile. Whether going with wood styles or a stone, such as slate or marble, LVT provides a beauty and realism that will add a sophistication to even the oldest, most traditional bathroom. 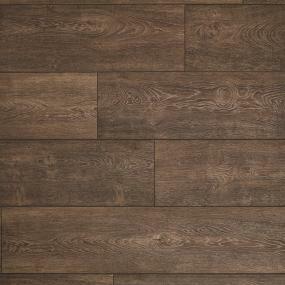 Even still, tile remains a strong option for bathroom flooring and comes in many wood-look options as well. But if you or (if you’re a trade pro) your client wish to veer away from this path, you have other choices that are as safe, beautiful, and durable. Review our inspiration listings for ideas, then, visit your local showroom to view samples firsthand that will infuse a bathroom project with character — and your preferred design. You Made Your Flooring Material Choice. Now, What Color?